Welcome to a world of imagination and delight! This 12-hour listening experience is read by award-winning voice actor, Marc Thompson from our Shahnameh: The Epic of The Persian Kings. With meticulous sound effect design and music editing, Hamid Rahmanian takes the listener on a sonic journey back in time, to the mythical world of heroes, monsters, magical creatures, lovers, and warriors in the ancient land of Iran. This modern rendition of the epic is an unprecedented audiobook experience to delight, educate and entertain the spectators from all walks of life. Husband and wife team Hamid Rahmanian and Melissa Hibbard have created award‐winning documentary and fiction film, graphic design, photography and literature for over two decades. Their films have received international awards and screened worldwide at festivals, theaters and on television. Their latest undertaking, the Shahnameh Project includes a 600 page illustrated edition of the 1000-year-old Persian epic poem, Shahnameh: The Epic of the Persian Kings. Based on this best selling book, they created Feathers of Fire, a cinematic shadow play that premiered at the Brooklyn Academy of Music and is currently touring around the world; a pop up book called Zahhak: The Legend of the Serpent King and an immersive audiobook of the original tome. We have created a website specifically for our Shahnameh Project that includes our book, Shahnameh: The Epic of the Persian Kings, Feathers of Fire and more. For the past eight years, we have been working on the Shahnameh Project, a multi-disciplinary project revolving around the classical Persian mythology, Shahnameh by Ferdowsi. 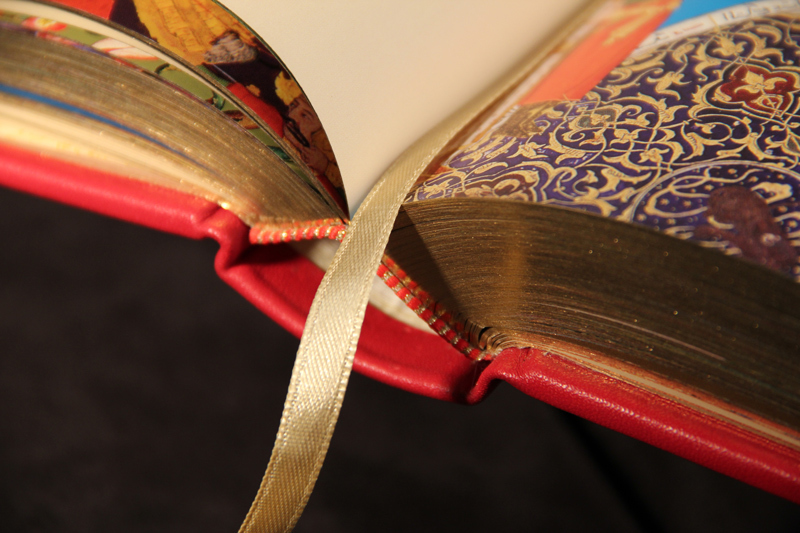 The works include the best-selling illustrated translation and adaptation, Shahnameh The Epic of the Persian Kings. This 600 page tome comes in regular and limited editions. The book was illustrated by Hamid Rahmanian and translated and adapted by Ahmad Sadri and published by The Quantuck Lane Press. The recently debuted shadow play, Feathers of Fire, currently on tour, is a feast for the senses. The love story of Zaul and Rudabeh comes to life in this breathtaking cinematic live theater performance. 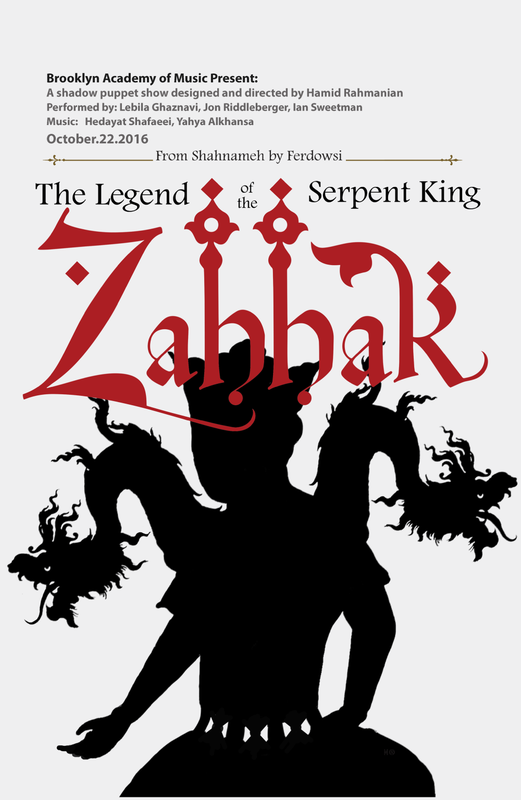 We have also created a 20 minute shadow play that retells the story of one of Shahnameh's great villains in Zahhak: The Legend of the Serpent King that is making it's way on theater stages around the country. A beautifully designed pop up book is coming out in 2017 that will be published by Fantographic Books. And we are working on audio and electronic book versions of our Epic Shahnameh. You can learn more about our Shahnameh Project on our website, Kingorama.com. You can order our books, prints and other merchandise and keep up with our performance schedules. Persian legend comes to life with live musical accompaniment and intricate shadow puppetry. From the Shahnameh or Book of Kings - an epic narrative penned in the 10th century by Persian poet Ferdowsi—this shadow play tells the story of a misguided prince who becomes the villainous Serpent King. For the past 20 years, we've been making films that take audiences on journeys into unique and rarely seen worlds, offer new perspectives and challenge stereotypes. Watch our films right here on our website or buy the DVDs. Also, visit our sister company, Fictionville Media where you can purchase educational DVDs, learn more about DIY distribution through our blog and discover other great films through our cooperative filmmaking platform. For over 30 years Hamid Rahmanian has been working in the graphic design field. He owned and managed a top firm in Tehran and In 1992, he was awarded recognition as the youngest professional designer in Iran. He has received numerous awards for his achievements and his work has been exhibited in international festivals and competitions. He has been commissioned to do work for cultural organizations and commercial companies such as The United Nations, GQ Magazine, Lincoln Center, Pacifica Radio/Democracy Now!